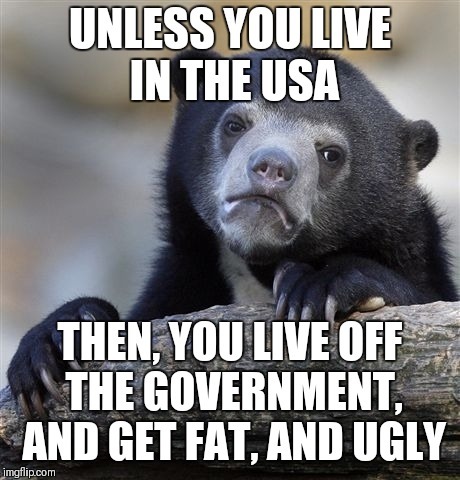 And skip marriage, have different kids with different ugly women, face child support if you do get a job, alienate women and children and still manage to die a bitter, lonely death. Take notes and study while you can!!! There are smart people in this world! i have many pens. all people who are depressed or suicidal can come at my door and as for one. for me it is normal, i keep thinking everybody is like that. i don't understand how can you be any other way. Dollar stores have pens like 20 of them for a dollar. I can save 20 lives for a dollar or put a smile on 20p people's face… that's cheap. I don't need to be millionarie to make someone heard, understood, validated, accepted and loved. sorry I forgot to upvote your comments before. Now I did. Sometimes unintentionally I forget. Sometimes I inetntionall forget. But because I chose to forget everything right away, so that my brain can have a cool breeze all the time, and at rest and peace, and sunshine… I don't remember if I did inetntionall or unintetionally, and I don't care if the person understand s or not. But sometimes I do. Then I write a comment and tell the person that I care that they know that. sickness for relatives = dead relatives. 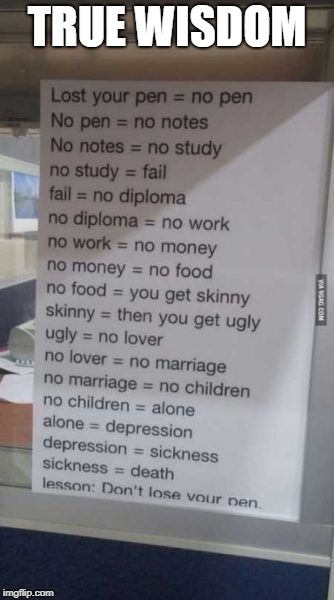 Which confuses me, because most of them probably never lost a pen. Those are the same pens I have! As someone who collects higher-end luxury fountain pens, I can agree that losing your pen is a very bad thing. Nice, what brand are they? I answered that below in more detail. I have a Parker, Pelikan, and a Pilot among my top pens. All of them have at least 14k solid gold nibs. If they're Mont Blanc pens, they can run anywhere from hundreds to thousands of dollars each. I'm going to buy one this summer that is around $800, but they get much more expensive than that. Why do you want to pay so much for a pen? Okay, but why does he want such an expensive pen? He doesnt know I'm getting it for him. He never asked me for an expensive pen as a gift. It's just something nice I want to do. I consider Mont Blancs to be greatly over-priced for their value, especially the newer ones. My top pens only costs around $300, and are great pens. The top of my collection includes a Parker Sonnet of the limited edition Great Expectations series (Secret Black Shell) with a 18k solid gold nib, a blue-stripped Pelikan M400 with a two-tone 14k solid gold nib, and a Pilot Custom 824 with a 14k solid gold weaverly nib. I'd love to get a Pilot Custom 845 which is around $500, or to spend a couple thousand on a maki-e Japanese lacquered pen, but I would never spend money on a Mont Blanc myself. Maybe one day I will get a vintage MB pen, but I have no plans at the moment.